add-ons as required. Remember that home insurance is almost always a requirement of your mortgage company and should be in place from the moment you exchange contracts on your property, before you even move in. It’s a grey area as to who is legally responsible for the property at this stage – you or the previous owner – but it’s not worth the legal fees to battle it out in court. Those renting their homes only need to purchase contents cover (and again any extensions desired as above) – your landlord is responsible for the building. Landlords must buy landlord cover. This is cover for people who own property and rent it out. It covers the building structure and much more such as non-payment of rent and rehoming tenants in the event of the property becoming unliveable due to a valid property claim. A standard buildings policy does not suffice here and specialized cover must be purchased. • The sum insured limit that you need for buildings cover is much less than you think. Most people want to cover their home for the same amount they bought it for (the market value) however it costs much less to rebuild a home than it does to buy it. Your Insurer should be able to advise you on this point. • If you run a business from your home this must be disclosed to your Insurer at proposal stage. You will likely need to buy additional coverage to make sure that you are adequately covered and failing to provide full details could result in your policy being cancelled. • Don’t underestimate the value of the contents in your home. If you take a wild guess and ask for $50,000 worth of cover but then you are burgled and realise that you have lost closer to $75,000 worth of contents, you will only be able to claim up to the $50,000 that you paid for. • It’s a good habit to keep receipts for household purchases. It is not uncommon to be asked for proof of purchase at claim stage and if you can’t prove that you actually owned the items you are claiming for, you might find it difficult to get your claim approved. • If you take steps to mitigate a future loss, your premium will be lower. For example houses with alarms, multiple locks and a guard dog will pay less than a home without any extra security measures. Don’t lie about having them when you don’t – this could invalidate a future claim and lead to prosecution and a criminal record for fraud. • Your Insurer will likely offer you a choice of deductible. This is the amount of the claim that you will pay and is usually limited to a few hundred dollars but you can opt to buy a higher limit. The higher the deductible you buy, the lower your premium will be as it becomes less likely that you will make a claim. If you do opt to save money in this way make sure that in the event of a claim you can afford to pay the deductible you have chosen. • Insurers will use all of the information you give them to come up with a suitable premium for your cover. Don’t expect to pay exactly the same as the person who lives next door – each case is quoted separately. 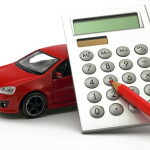 • Like with your motor policy you will be rewarded for making no claims. A discount is usually given to customers who have not made a claim for at least 5 years. • Generally staying with the same insurer is not financially advisable. It’s wise to look for alternative quotes at renewal to see if a cheaper option is available – it usually is. And most importantly, don’t go it alone. Your home is probably the most expensive thing that you will ever own. Saving money by not buying insurance is foolish and could leave you bankrupt. If you can only afford to buy a cheap policy skip contents and just buy buildings – this way you might lose the things inside your home but the property itself is secure.